Looking for retaining wall design solutions to terrace a sloping garden? Rockeries and Rock Banks with Steps or sloping paths. The height of the bank and the degree of slope required will determine the type of style of retaining wall used. 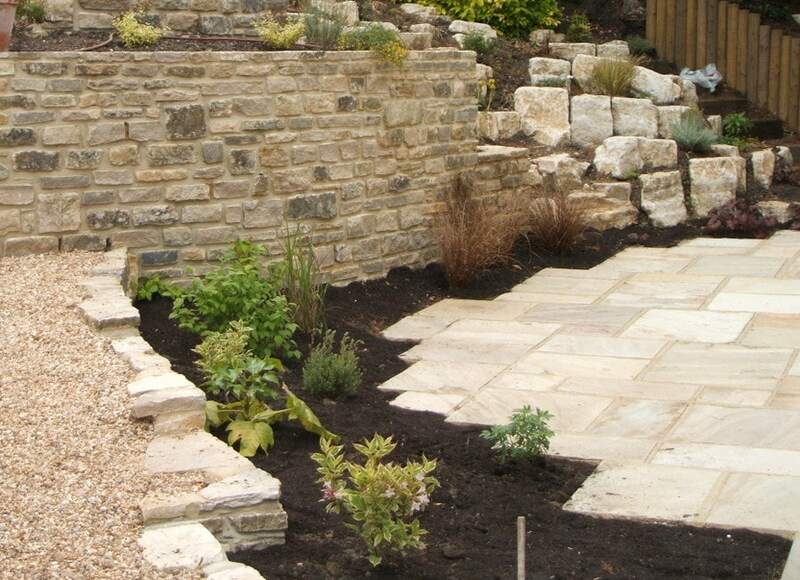 A mixture of rock and timber creates the ideal natural combination for retaining ground. This may also be a great place to include a small stream or waterfall. 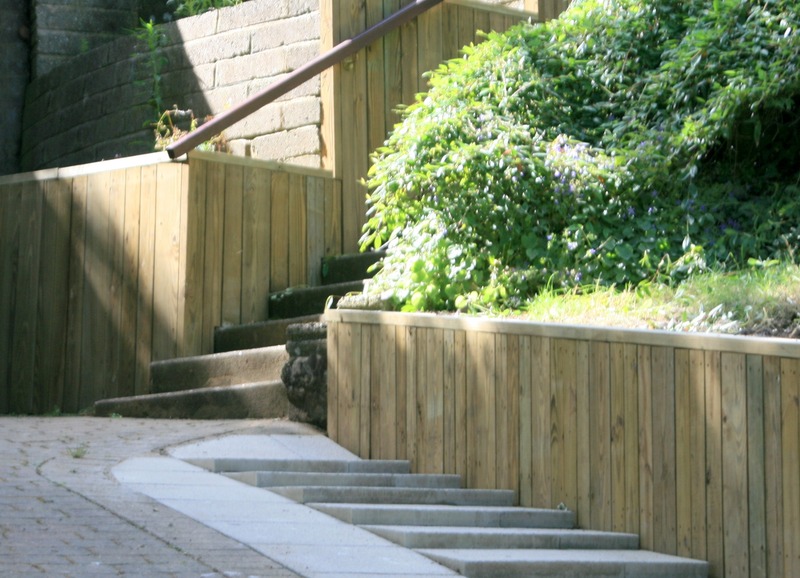 Timber Retaining Wall systems can last for many years with some timber crib walling expected to last over 60 years. Most treated timber from DIY stores and builders merchants may last 6 – 10 years if you are lucky, as this type of treated wood is really meant for the construction of houses and is protected from the elements with a roof and a damp proof course. We use specialised timber that has been grown fast with a high intake of preservatives to last in ground contact for 30 years or more. It may cost a little more for the material but the labour costs are the same. The benefit is often more than 3 times the life expectancy you will receive from the average contractor. If you want good long lasting value and not an advertising gimmick. Call Peter Killen on 01425 475160. It is important to have drainage through your wall. A solid wall can act as a dam and then suddenly explode with the build up of water pressure.